Turner turned 5 in October and it has been such a fun age! He missed the cutoff last year for kindergarten so he will start in a few months! My first born is getting so big, but he'll always be my little boy. It also helps he weighs 40 lbs. and I can easily carry him. I'm not looking forward to the day when I can't hold him in my arms. He always says, "Mama, one day I'll be carrying you. ", and then we'll read I'll Love You Forever and I BAWL my eyes out. - He is the life of the party! His teacher told me he's ALWAYS trying to make people laugh during class, and we've had to work on him being quiet during learning time because all he wants to do is make jokes. - If you have a ball in your hand he's officially your best friend. If we go to a park and he sees a kid (doesn't matter the age) playing a sport, he'll immediately walk over and ask if he can join. When he was younger it was tough, because he couldn't keep up with the older kids, but it's gotten better recently. - He's a cuddler. Most nights when I read to him we hold each other tight, and after I turn the lights off he asks me to cuddle. I hold him close, rub his back, and say a prayer. Some nights he'll sneak in to my bed and in the morning he'll always wake up and put both of his hands on my cheeks. It's hard to sleep when he does this, but it sure does melt my heart. 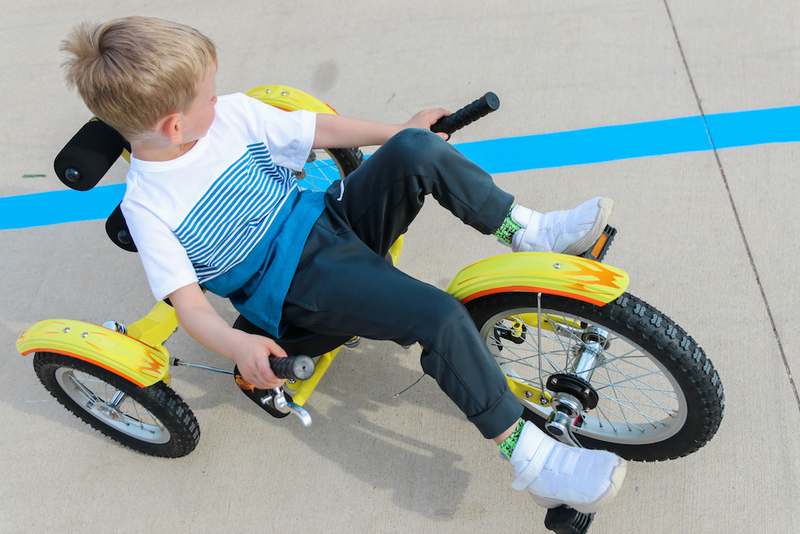 - He's obsessed with riding bikes! 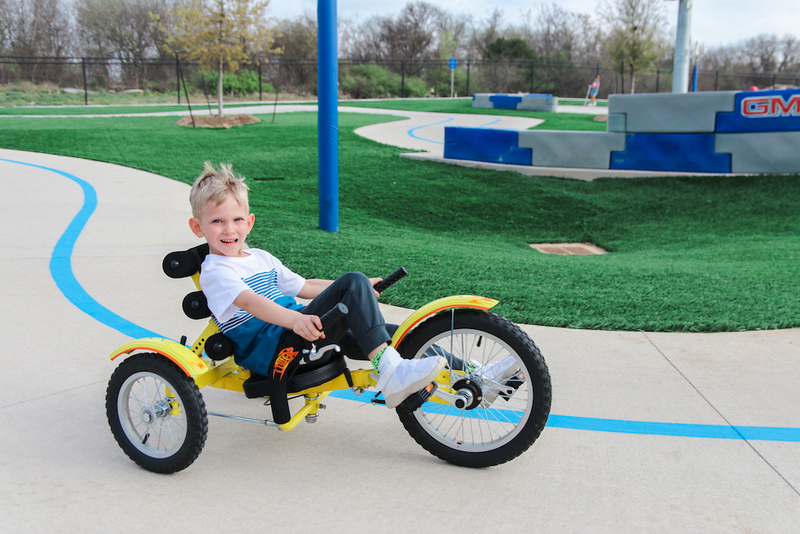 We often go to Play For All Abilities Park in Round Rock to ride around their recently built race track which is most children's dream! 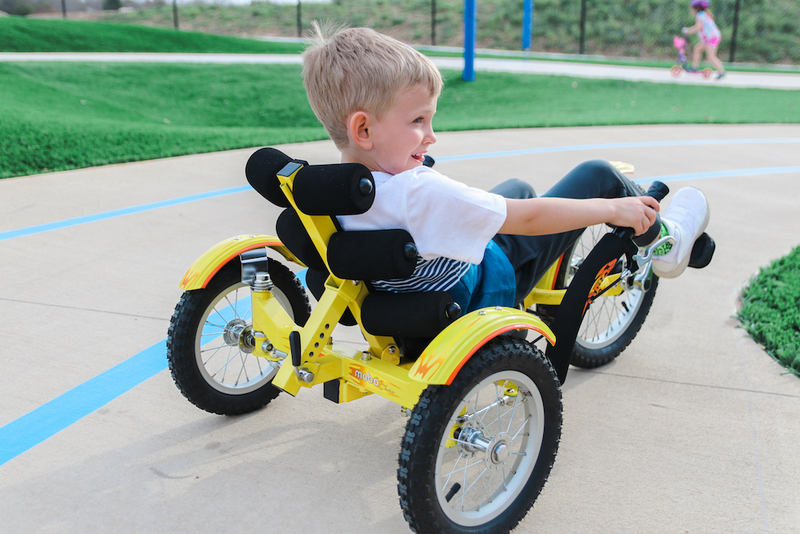 He takes his Mobo Mobito Cruiser and flys around the track. 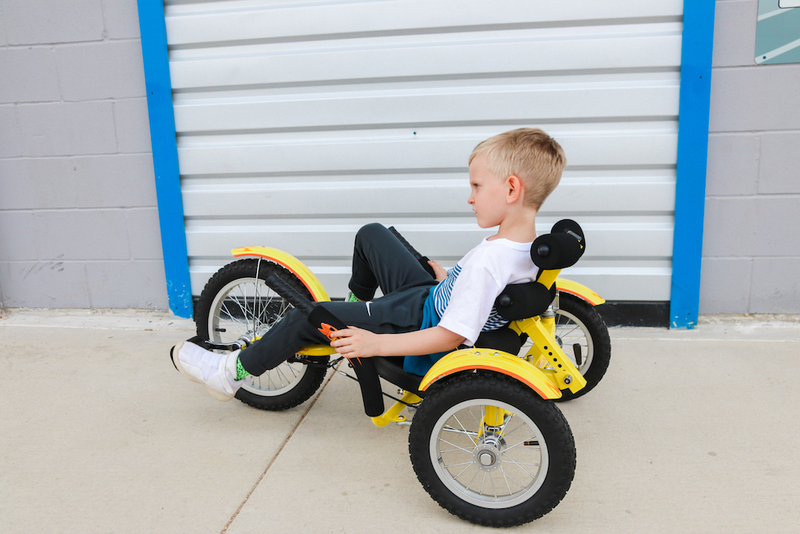 This three wheeled bike has a sturdy and adjustable frame which fits kids ages 4-10 years, a comfortable cushioned seat, an innovative steering system with no balance needed, an adjustable back support with 6 angle settings, and is ergonomically designed for kids! 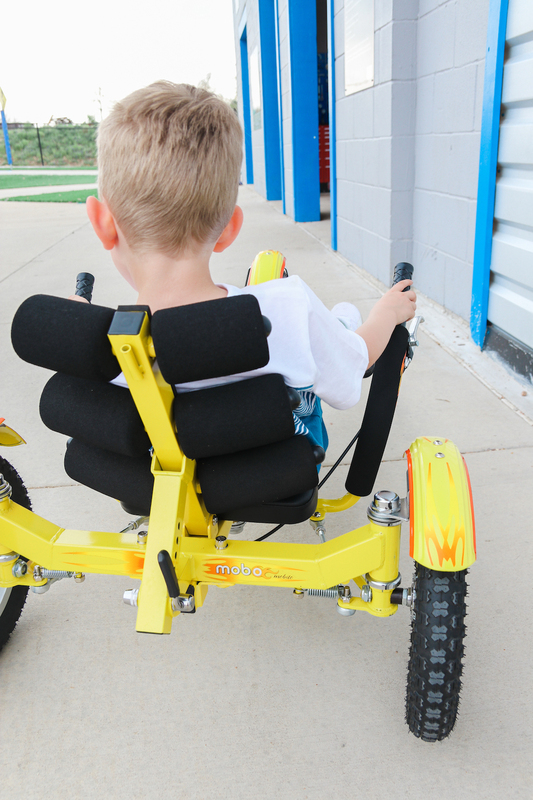 We actually discovered the Mobo brand when we saw another kid riding this cruiser at the park and were immediately amazed. We went right up to his parents and asked where it was from! 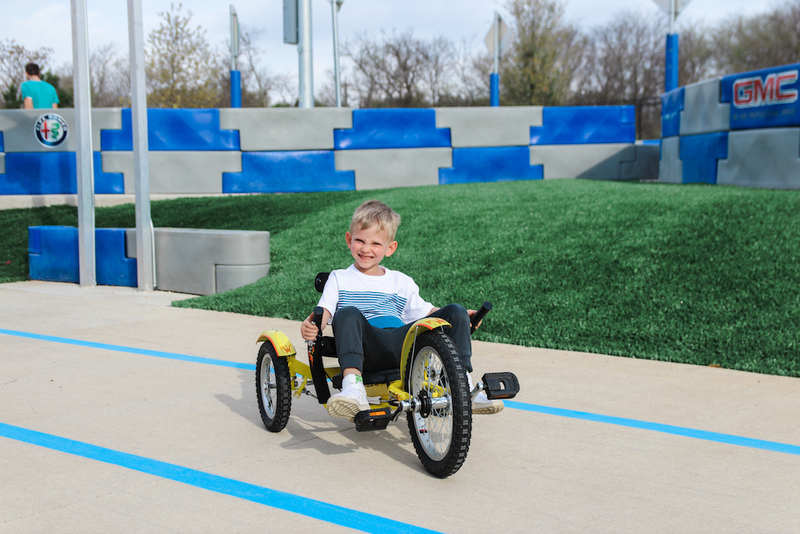 Mobo makes three wheeled cruisers for all ages starting at age 2 and up to adults! - When I cry he's very sensitive to my emotions, and always asks if I'm OK. He misses my dad often (AKA Pawpaw) and asks if he's riding a horse in heaven. Sometimes he'll wave to the clouds as if Pawpaw was watching him, and he'll ask if my dad can see and hear him. - He lives off of meat, candy, macaroni, cherry yogurt, and fruit. EVERY single night he requests a bowl of fruit before bed. We stock the fridge with grapes, raspberries, blueberries and strawberries. He loves cantaloupe and pineapples, but we rarely have it. The other day Walt shouted from the carseat, "TURNER JACK NO! ", to which everyone laughed. Walt knows if mom or dad say "TURNER JACK" it means business...haha. I so badly want to bottle up Turner's sweetness and innocence, but since that's not an option I'm going to encourage him, love him, support him, and watch him shine as he grows older. I love you Turner!